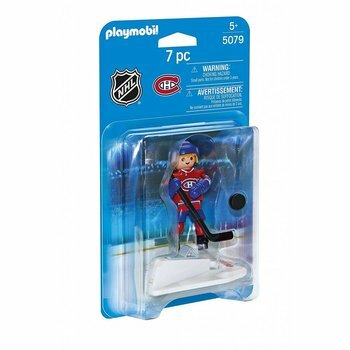 Set includes one figure with Canadiens jersey, hockey stick, puck, player number decals, helmet, and other protective gear. Ole, Ole, Ole! 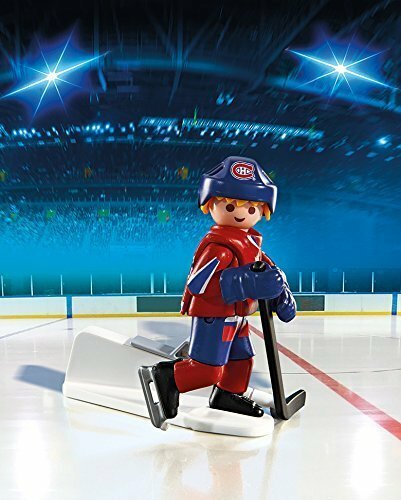 Lead the team to victory with the NHL Montreal Canadiens Player. Simply pull back the set's lever to move the hockey stick and fire the puck across the rink. 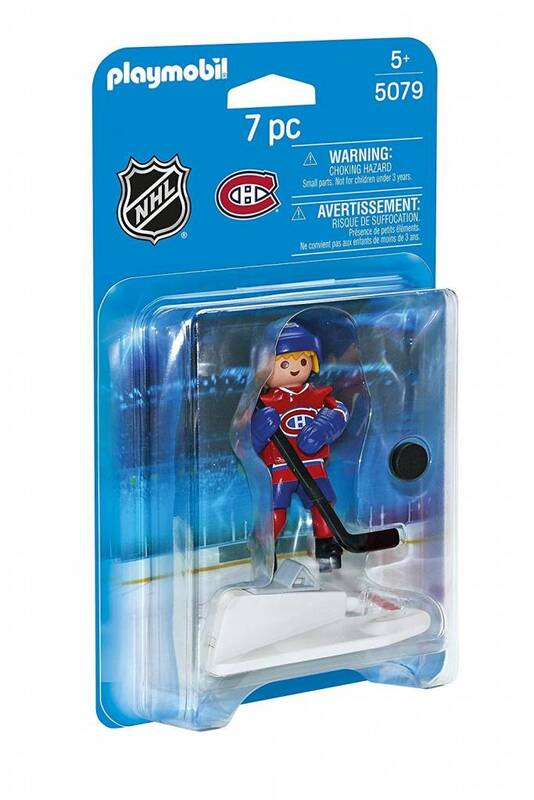 Set includes one figure with Canadiens jersey, hockey stick, puck, player number decals, helmet, and other protective gear. 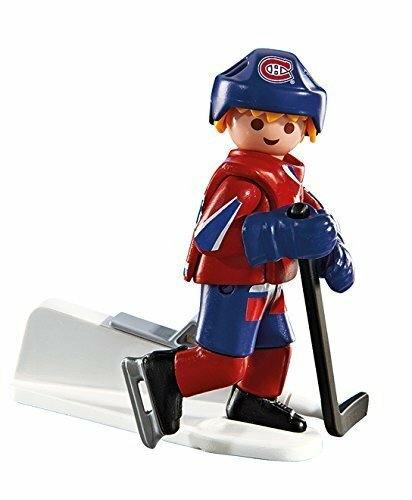 Connect the figure with the NHL Hockey Arena (5068 - sold separately) for added fun! Recommended for ages five and up.